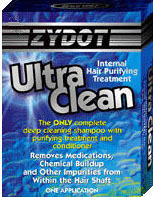 The Zydot Ultra Clean Shampoo is a shampoo intended to use at the same day of a hair follicle drug test in an attempt to mask the toxins and allow you to pass it. How reliable is it though..? If you’re already familiar with my recommended way to get clean for a hair drug test, then you know where I stand on this. On its own, it’s not reliable at all. It will increase your chances, yes, although if you passed with it, there is a decent chance you would have done so without it as well. Don’t get me wrong though, because I use this shampoo myself, always. But NOT ALONE. You need to use it together with the old formula of Nexxus Aloe Rid for consistent results, and the few that sell the old Aloe Rid version (Test Clear is where I get mine) often add Ultra Clean to the order automatically because of this synergy. The way it works is that Aloe Rid actually detoxifies your hair follicles (few things can do this), especially if you do the Macujo Method. That’s why you don’t use it right before your test, but rather daily the days up until your test, to allow time for the detox process. 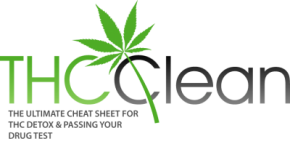 After a good cleansing period with the Aloe Rid detox shampoo, a much smaller amount of toxins or THC will be left in you hair. And this allows great synergy with the Ultra Clean shampoo, since this smaller amount is A LOT easier to reliably mask or hide. It’s funny how much this resembles the marijuana cleansing process for urine. The same thing applies there, where you have the same day detox drinks that mask toxins, and the over-time detox programs that actually removes toxins (if you use a quality product, at least). The synergy is EXACTLY the same. You remove enough toxins to probably be able to pass naturally but use the masking same-day product as a safety net, leaving nothing to chance. To conclude this review, Ultra Clean in my opinion is a great shampoo, but more so for its synergy than for its standalone potential. What’s your Zydot Ultra Clean Shampoo review?